Our advanced and unique notification and alerting system. S4A Smart COMM has proven – time and again – to be invaluable in streamlining communication and decision making across diverse business units within an airline. Operations staff at all levels are the clear winners. Flight Dispatch, Operations Control, Weight and Balance, Maintenance, Pilots, Aircraft Routing Crew Scheduling Airport Operations, Airport Services, Passenger Services and 3rd Party Partners and Contractors can now collaborate on operational problems and situations, using a common platform. Collaboration and sharing of the latest information among many airline business units, allows even the most complex issues to be resolved timely and efficiently. A common communications platform is now able to unite: Flight Dispatch, Operations Control, Weight and Balance, Maintenance, Pilots, Aircraft Routing Crew Scheduling Airport Operations, Airport Services, Passenger Services and 3rd Party Partners and Contractors. Supported by our advanced alerting and notification system, S4A Smart COMM represents a significant advance in streamlining and improving airline communications and decision making by presenting relevant, key information and data to all operational stakeholders. S4A Smart COMM cannot replace human input for various position accountabilities, but it is a solution that allows the individual to focus on more critical aspects of their jobs, and permit the technical and interface-related issues be solved by the professionals at Smart4Aviation. Over 70 types of alerts can be established to warn of any operational conditions, providing users with a comprehensive view of the operation in real time. Airline can precisely customize types of alert and conditions for each user group to make sure no user is disturbed by irrelevant information. 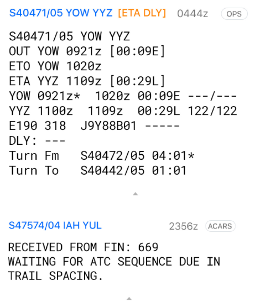 Regardless of an individual’s role in the airline, with S4A Smart COMM alerts can be established to warn of any operational conditions, providing users with a comprehensive view of the operation in real time. Key examples of events for ground and station personnel are flight cancellations, aircraft changes and delays; for staff concerned with flight watch, alerts such as en-route turbulence and altitude variance can be established. Pilots can be informed via ACARS about changing weather or aerodrome conditions. One can precisely customize types of alerts and conditions for each user group to make sure no user is disturbed by irrelevant information. S4A Smart COMM is equipped with a powerful and intuitive assignment builder tool for managing and maintaining the system functions, access rights and alert routing capabilities. With S4A Smart COMM, you give your airport, maintenance, departure control, SOC, STOC, operations or back office users a single tool for complete operational awareness. 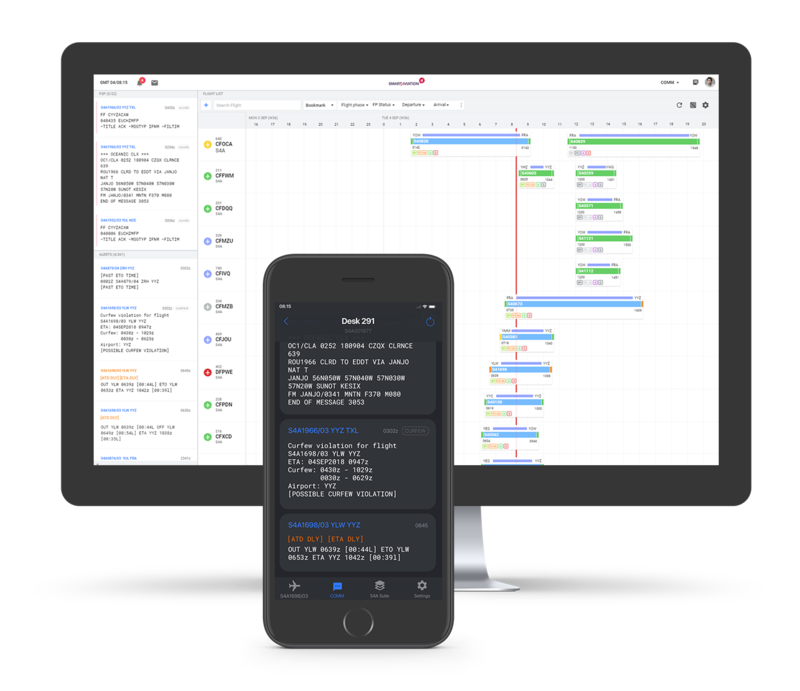 A full featured Gantt chart provides a complete “day of” schedule and fleet management solution displaying: real-time flight, aircraft, and schedule operations information (flight status, operational times, briefing package, MELs, messages, alerts, etc.) through an interactive user interface. All operations relevant flight details are available with just one click. Too much information can be as big a problem as too little. S4A Smart COMM filters information based on staff responsibilities and operations. Only business role relevant alerts or messages are delivered to users, filtering out unwanted or irrelevant information. Business roles, assignments and alerting rules are fully customizable for all airline business units and departments, allowing employees to focus on whatever falls within their scope. 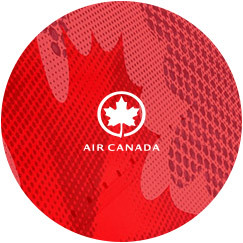 Please read the case study written by Douglas Bernie (Manager, Airline Operations IT at Air Canada) and check how Air Canada improved communitation by using S4A Smart COMM. Case Study was published on Aircraft IT magazine in Autumn 2012. 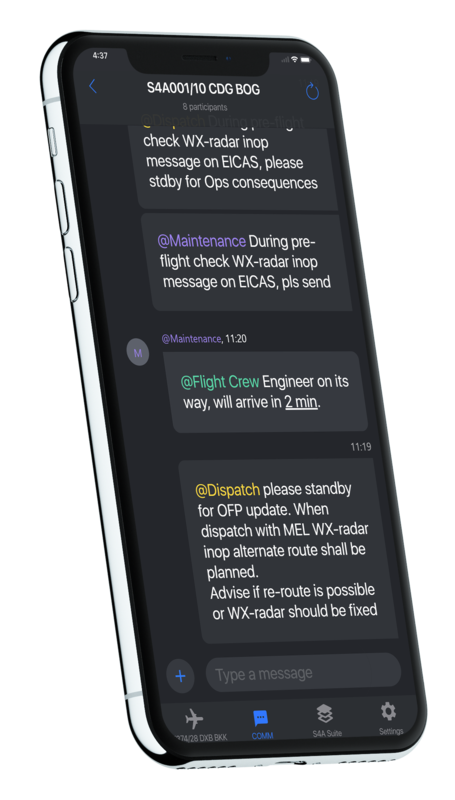 S4A Smart COMM Mobile is our state of the art messaging and alerting application, originally designed for Cockpit and Cabin Crews. However, when combined with other Smart4Aviation mobile solutions, it fully supports many other operational roles, providing the ultimate mobile communication and information tool available. Peer to Peer communication, two-way ACARS messaging, automatic ACARS uplink and downlink transactions, rule-based alerting (weather, NOTAM, load, fuel, operational events, MELs and much more).